We are holding the 2nd annual Feline and Fido Fund Run 5k & 1-Mile Fun Walk! The proceeds from this event will be donated to No Kill Lehigh Valley, Inc. This organization provides financial support for critically needed veterinary care for cats and dogs, spay/neuter of companion cats, and TNVR (Trap, Neuter, Vaccinate and Release) of free roaming community cats. 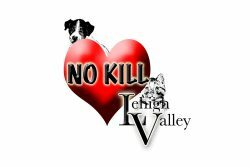 No Kill Lehigh Valley was founded in 2008 and is a 501(c)(3) organization. This event will be held on Saturday, Oct 13. The 5k will begin at 9:00 AM at the Forks Township – Parks and Recreation and the 1-mile Family/Pet 1-mile walk will begin at 9:30 AM. Pets are welcome on the walk, but must be on a leash at all times. We ask that only participants walking dogs be at least 14 years of age.